Now that the Door County Half-Marathon is over, how about trying something new like stand-up paddle boarding in Door County? At Ephraim Shores Resort we encourage you to change your view. With our private dock you can put in a paddle board and away you go! There are plenty of nearby places to rent a stand-up paddle board before taking the plunge and buying one for yourself. Your only regret after trying a stand-up paddle board will be that you did not do this sooner. Bay Shore Outfitters Ephraim Kayak Center, located on the waterfront a few steps south of Ephraim Shores, will rent paddle boards by the hour, day or week to fit any vacation length. The closest store location to purchase one is in the nearby town of Sister Bay and their rentals include roof transportation to bring it back to our waterfront property for multi-day rentals. The views of Peninsula State Park from the water are breathtaking. It’s easy to lose track of time paddling back and forth, looking at the Eagle Bluff Lighthouse, Eagle Tower and the surrounding nature. You can also rent a paddle board at Nicolet Beach campground by the hour. Paddlefest, a day-long celebration of water sports in Sister Bay, is the perfect opportunity to try stand-up paddle boarding in Door County. You can experience stand-up paddle board yoga and kayaking as well. This year’s Paddlefest is June 23 from 8 a.m. to 5 p.m., and is just a short 10 minute drive away from Ephraim Shores. 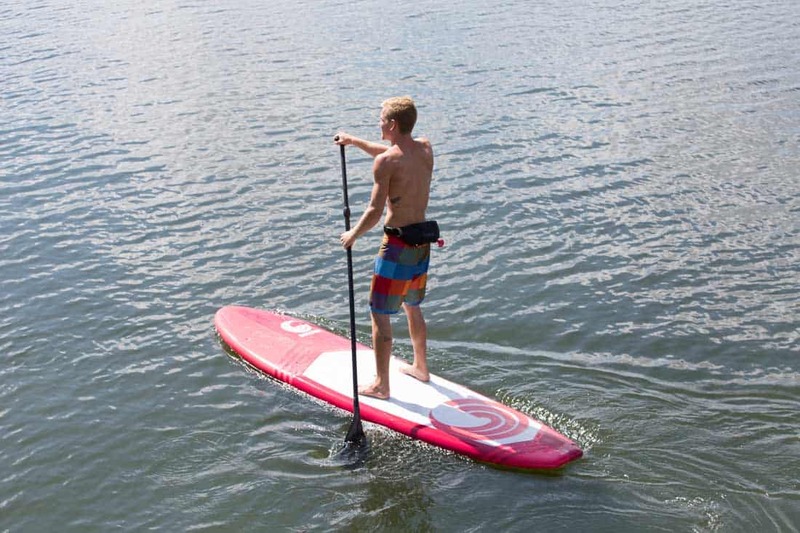 Along with Door county golf vacations, wineries and hiking in Peninsula State Park you can now add stand-up paddle boarding to your list.